The Strike King KVD Perfect Plastic Caffeine Shad is a soft body jerkbait with is ideal on a Weightless Texas Rig. With its heavily salted super soft body this bait can be thrown a mile and burned across the surface or subsurface. 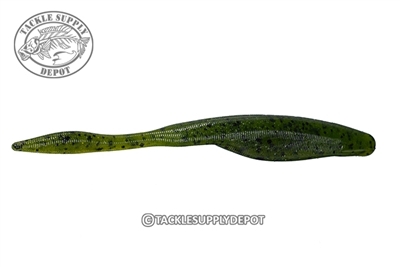 Unlike others on the market this bait can also be stopped and will fall just like a stick bait with a horizontal shimmy which is sometimes the difference that triggers the strike.